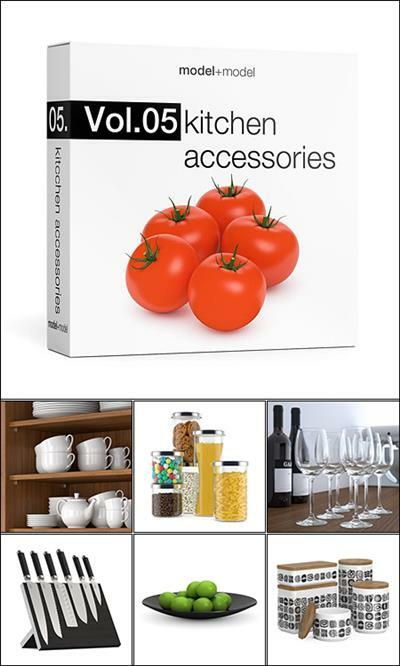 Vol.05 Kitchen accessories is a great collection of high quality 3d models for your interior scenes. The volume contains more than 140 single models of kitchen accessories arranged in 24 sets. The models are fully textured and are ready to use. To view all models and get additional information, please download a PDF catalogue below. You can also download a free sample file from the volume.